Beautiful! How many panels will you include? Tien: It is absolutely beautiful. 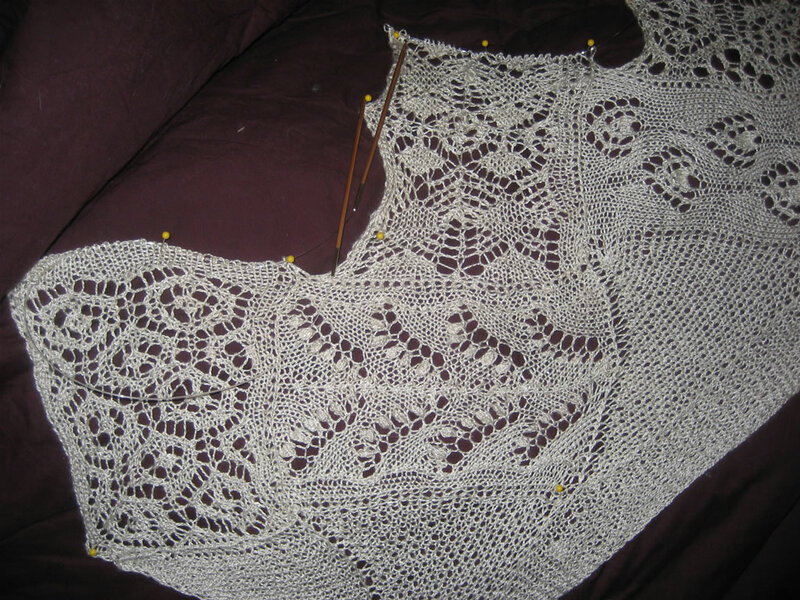 Are you using the Sharon Miller’s book or designing every row yourself? I do love the pattern you designed. 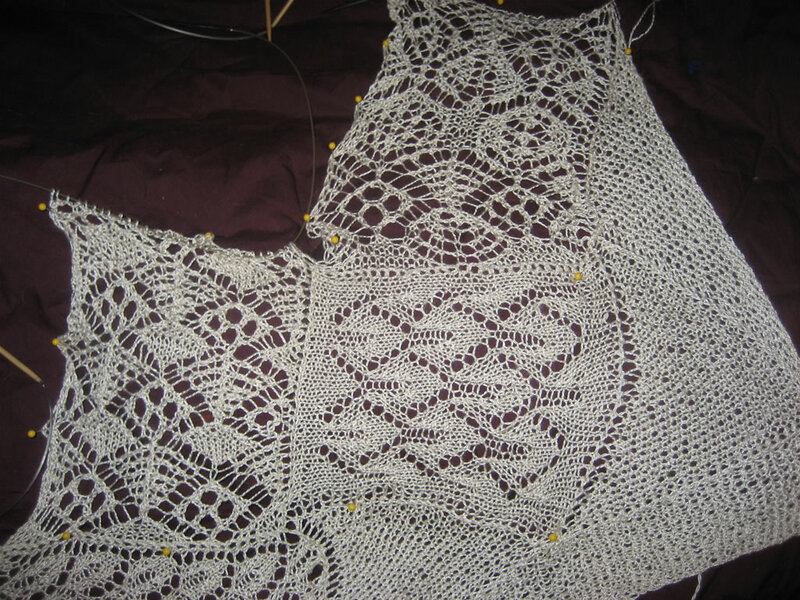 I’m thinking 18 total panels (2 rows of 5 and 2 rows of 4 panels), but haven’t decided yet. 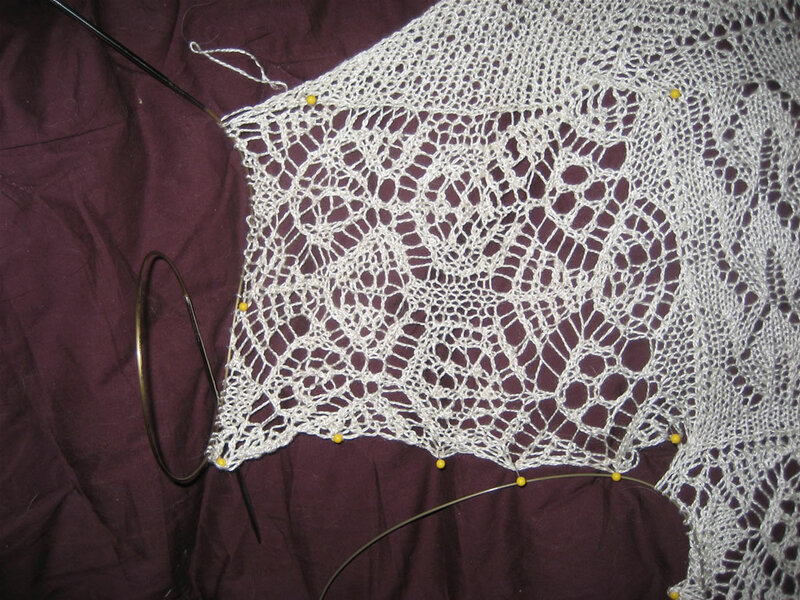 I’m using Sharon Miller’s book for most of the patterns. 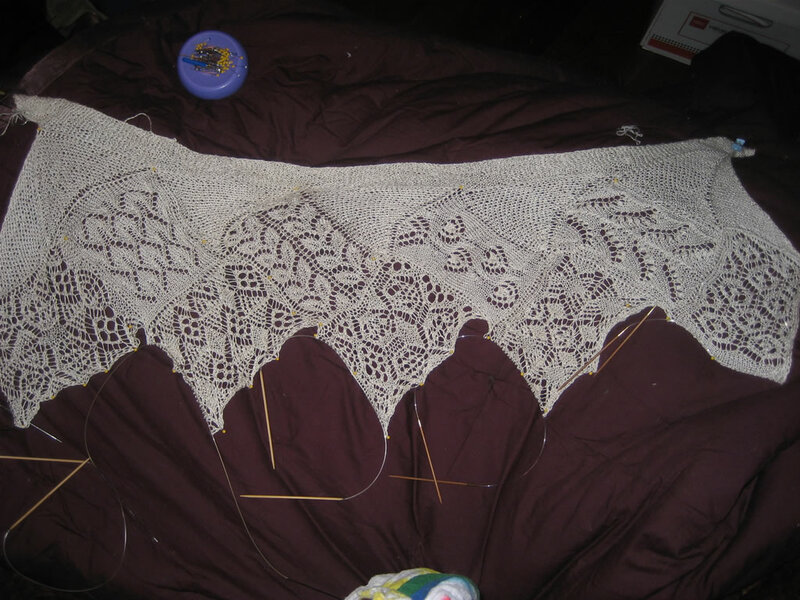 On the one I designed myself, I took several of her pattern motifs and rearranged them to suit myself, so I didn’t design it down to the individual stitch. Breathtakingly beautiful. 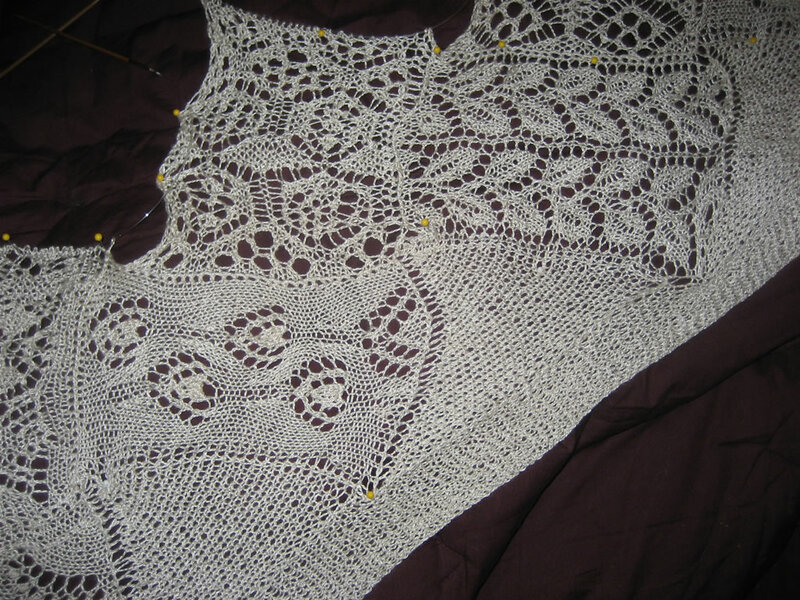 I love the Sharon Miller book and this is such an original way of using the patterns. You are one very clever lady. Very nice! I took a look at Sharon Miller’s book this weekend and you’ve convinced me to buy a copy. Your work is lovely!